What makes Schulz stand out? First, he is (not entirely incorrectly) perceived to be very different from the Apparatchik type that has dominated the top of the SPD over the last decade or so. Second, in spite of his long career as a EU politician, he is not perceived as a EU bureaucrat. His European career has been entirely as an MEP, rather than as an unelected official; he participated, as a candidate of the European left-of-centre, in the first attempt to democratize the nomination of the Presidency of the European Commission; and, finally, his career as an MEP first and as the President of the European Parliament subsequently made him famous for his principled, down-to-earth, and passionate manners. Third, he started out his campaign as Chancellor candidate by putting a renewed emphasis on social justice. Now, whilst he has been criticised for not being sufficiently concrete on what he actually means by it, giving this concept a central stage is both something that European social-democratic parties have been hesitant to do in the last 20 years and something particularly striking to do for somebody who comes from EU politics. 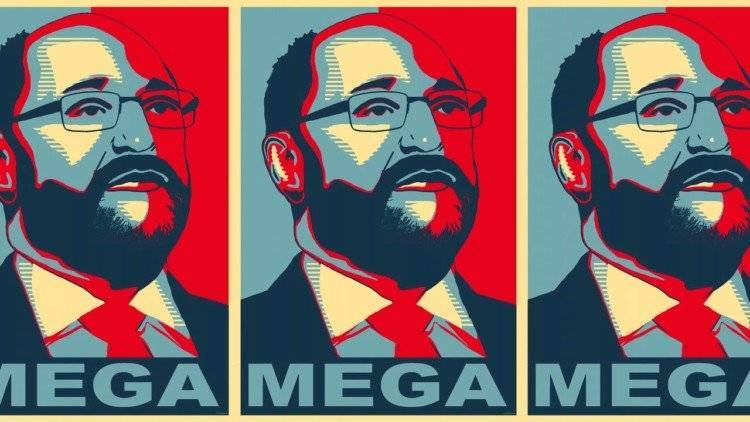 These features make Schulz uniquely well-placed to create the democratic preconditions for a renewed commitment to European solidarity within the German public. We know – or at least we have plenty of good ideas about – what needs to be done; what we do not know is how to persuade the German public that it needs doing. There is an urgent need to construct the political will for such a set of reforms – political options that are already technically feasible need to become politically feasible, too. What we need is an exercise of progressive democratic leadership. What is progressive democratic leadership, and why does it matter? It is a kind of political leadership capable of steering democratic publics towards progressive goals whilst respecting the democratic and reflective nature of these publics – i.e. by persuading and educating the public without shying away from either complex arguments, not immediately palatable views, or both. It is leadership grounded in the conviction that populism, oversimplifications, and appeals to immediate self-interest are not inevitable. Effective democratic leaders can shape public opinion; mobilise support for valuable aims which do not have immediate returns; and generally maintain the democratic process rich and complex without making it technocratic and exclusive. It is leadership, yet of a democratic form as it operates by believing that a democratic people is capable of accepting principled views and digesting complex political arguments. It is the kind of leadership displayed, for instance, by François Mitterrand during the French presidential election campaign of 1981 – when he declared that, in spite of knowing the majority of French citizens to be currently in favour of capital punishment, its abolition was going to be one of the first things he would take care of as a President. In so doing, Mitterrand showed to be confident, not only that the French would eventually come to support his view, but that he would manage to get elected in spite of making what then seemed to be an unpopular pledge. Thus, progressive democratic leadership is a mix of charisma, political skill, principled views, and display of trust in the democratic public. It is a kind of leadership that expresses itself in the willingness to take high risks, trusting the democratic public to be able to understand, process, and support certain momentarily unpalatable views if their value is powerfully articulated. Why is this kind of leadership so important? Because it is an essential piece of the puzzle when it comes to restoring the quality of democratic processes in the current political landscape. Democracy works best when democratic publics sufficiently endorse, and participate in, the reflective and argumentative activities it necessarily entails – when they engage in the hard work of understanding and defending complex political views. Only this makes democracy stable, and stable for the right reasons – citizens protect democracy by doing it, as it were. This virtuous circle loses robustness when democratic processes become increasingly technocratic, elitist, and are removed from the space of democratic discussion – this is, arguably, what we have witnessed over the last couple of decades. On the other hand, though, when publics become increasingly impatient towards this kind of political practice, it is often already too late: the quality of democratic participation has already been eroded and protest is often articulated through a simplified, deceitful, populist language. Democracy requires both complexity and participation. This is exactly the kind of leadership that SPD leaders have spectacularly failed at over the last few years, and with respect to the topic of European solidarity in particular. Their attitude has oscillated between acquiescence with the politics of European austerity and attempts to keep quiet about the whole matter, in the belief that any expression of support for more solidaristic European economic policies would inevitably produce a domestic electoral disaster. The possibility of fostering a genuine and reflective democratic consensus around European solidarity is not even considered – progressive democratic leadership is simply deemed impossible. However, as Angela Merkel herself has showed during the refugee crisis, the German public can be responsive to progressive democratic leadership. The German public has, all in all, responded fairly well to the principled view expressed and carried out by their Chancellor in that occasion, and has accepted the challenges it entails – right-wing populism is present in Germany, but it does not constitute the immediate threat that has haunted, for instance, the Dutch and French elections. What we need today is a display of this kind of leadership with respect to the idea of European solidarity. 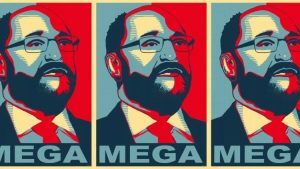 Nobody guarantees it can succeed, but the way Schulz is perceived by important parts of the German public makes him uniquely well-placed to give it a try. Progressive democratic leadership is inevitably a high-risk strategy, but Europe can no longer afford low-risk strategies. Thanks for this post, Miriam! I agree with you that – in Germany and elsewhere – we need what you call “progressive democratic leadership”, but I would not interpret Merkel’s refugee politics, considered from the moment in which she opened the German borders and said “Wir schaffen das” up to now, as a successful example of such leadership. Doesn’t the development from “Willkommenskultur” to the re-closing of borders, the deal with Turkey and a focus on how refugees can be deported show that fear and populism have won? Or would you say that the shift in Merkel’s refugee politics cannot be explained by a lack of public support? I agree that Merkel’s management of the whole issue should not get very high scores in terms of *leadership* as such (she didn’t try to make a case for her choice to the German people in a sufficiently articulated way), and I also agree that the broader management of the refugee crisis, including other, more sinister decisions over which Germany took a leadership role (such as the deal with Turkey), should not make us naively optimistic. I simply meant that this is a signal that the German public might be sufficiently open to progressive democratic leadership when the right leader comes – in other contexts, the results might have been even more catastrophic: the “Willkomenkultur” was really there for a while, and there is no immediate electoral threat from populism within the German democratic system at the moment 8there are populist actos, but no immediate threat). Also, Merkel’s decision did have a principled aspect to it, even if it wasn’t sufficiently articulated.